Greenways are proven to be popular for locals and tourists alike! 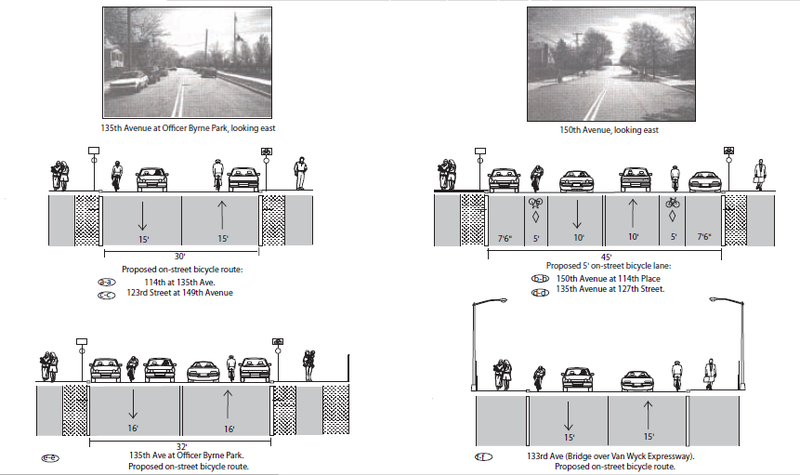 Our efforts will draw on models provided by other successful NYC greenway projects such as the Brooklyn Greenway Initiative and the Jamaica Bay Greenway Coalition, with inspiration from other popular greenways such as the Hudson River Greenway. The idea for this greenway is practically an extension of today’s Brooklyn-Queens Greenway, but via Southern Queens instead. 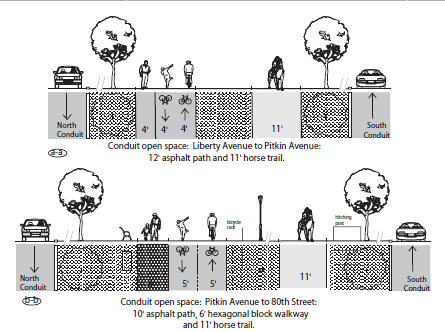 Between Highland Park and the Vanderbilt Motor Parkway by Alley Pond Park, the path will use the open spaces on Conduit Boulevard and parallel the Belt and Cross Island Parkways. 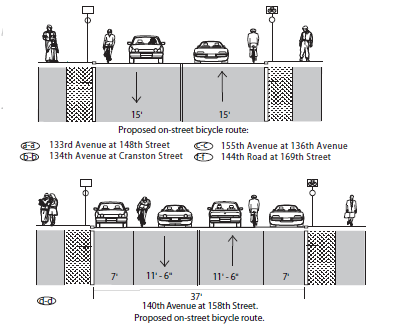 Below are examples of cross sectional diagrams of the trail taken directly from the 2000 proposal. Click to view larger versions.